Ed Silvoso is one of the early proponents of the cultural mandate. I often draw divine inspiration from his teachings especially when I was fresh to the concept of “church without walls”. Contrary from what the title suggests, this book does not teach about doing business or making money. This book focuses on embracing God’s business of making an impact by discipling a nation as marketplace Christians. Being not only a spiritual leader and evangelist, Silvoso is also an experienced business person. Hence, in his book he is able to eloquently blend biblical teaching with his experiences in redefining “ministry”. Silvoso advocates the universal call for all Christians to use their secular jobs as a ministry vehicle for the gospel to be preached to, and heard by those within our sphere of influence. For instance in chapter 7: The Kingdom, the Church and the Marketplace, Silvoso points out that there were 40 major supernatural encounters recorded in the book of Acts. And interestingly, only one of them took place in a religious setting and the rest happened in the marketplace. According to Silvoso, this highlights the truth that the Church should not be confined to a building or to a prearranged schedule of meetings. Therefore in order to start this change, Christians have to be released as ministers in the marketplace. No longer must we take the regressive and passive approach in being satisfied in merely doing the Christian thing like going to church to do church but being a Christian who operates in the fullness of the Holy Spirit and applies God’s principles; being the Church and bringing God into the marketplace. One part in the book not to be missed albeit controversial is found in chapter 2: Jesus in the Marketplace. Here, Silvoso debunks the traditional belief that Jesus Christ was poor when he was on earth. He presents evidence in the gospel to suggest that Jesus was well-to-do or wealthy. And inserts that Jesus himself was a businessperson in the carpentry industry and not a merely low-skilled carpenter that most of us are thought to believe. Like most other books of a similar topic that challenges the nuclear church to recognise the call in the marketplace, this book does overly-focus the interest of the ministry in the marketplace and might downplay the relevance and importance of the ministry of the church in the process. In my opinion, both ministries need each other and have to work together strategically to effectively bring transformation to the city and nation. Having said that, overall this book is a must-read for Christians to gain insights in how we as His people are to view and redeem the marketplace in a sustainable manner towards fulfilling the Great Commission effectively in this 21st century. 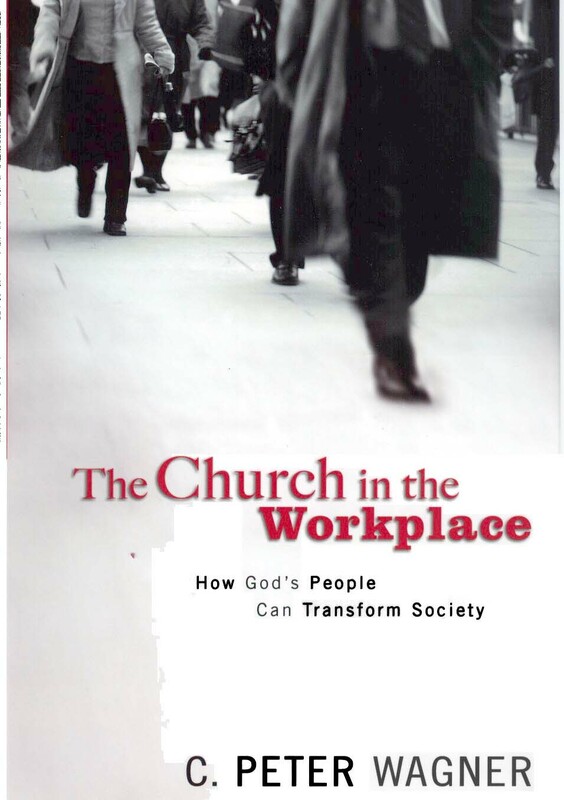 Who should read it: For pastors or church leaders, and Christian businesspeople or professionals. Richard Branson isn’t on my personal list of top CEO or leaders, but there’s no denying that’s he has my admiration for building one of the most successful brands in the world- Virgin. Albeit the brand has not being as prominent as it was years ago, but it remains one of the most recognisable brands and company that started from scratch by the flamboyant and enterprising Mr Branson. 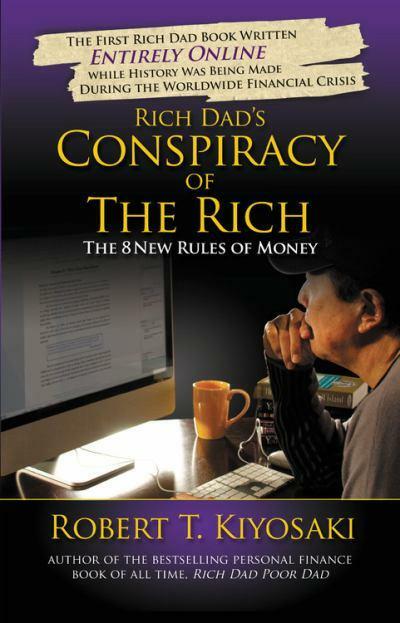 And this is what mostly this book is about- a rags to riches story. The book starts off during his growing up years as a young boy and his adversities especially with his learning disability of dyslexia. His early life provides glimpses of the environment and upbringing he had which were critical elements that made him who he was and is today in his entrepreneurial pursuit. And of cos, we now know which Branson has become, but not before getting himself close to imprisonment for tax evasion charges. 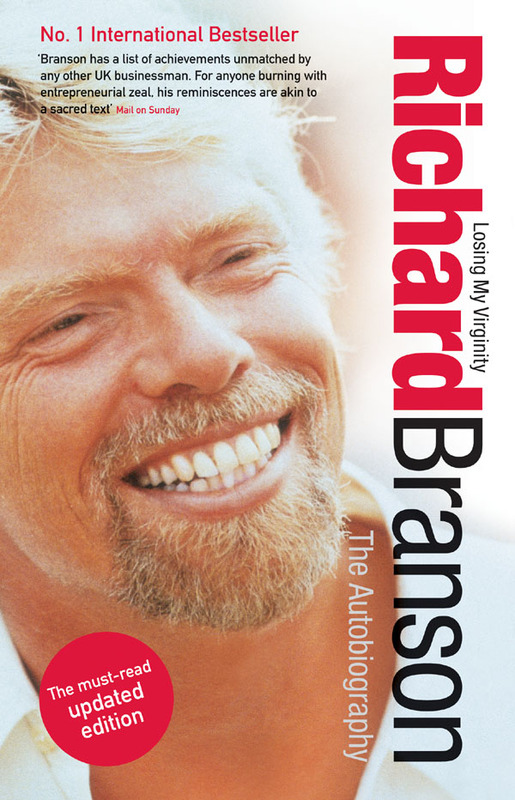 Growing up in 1969 and surrounded by the music and drug scene, it was commendable how Branson was always on the look out for business opportunities and not just following the crowd. During that time, he had the idea to begin a mail-order record company when demand for music was popular in order to help fund his magazine efforts. And that was the birth of the Virgin. With that mail-order company sprung from one business to another which followed with record stores, then to a record studio and eventually a music record label. Subsequently, other Virgin companies also emerged such as his own airline and publisher which owns the copyrights of this book. What I found useful were his honest sharing of his ups and downs as a business man and also his personal life with his family and marriage. These were invaluable insights that provided caution of the sort of challenges that every entrepreneur would encounter. Branson is also well-known for his adventurous and wild PR stunts which earned him the title, “King of the Publicity Stunts”. Some of his ground-breaking or memorable antics were his attempts to circumnavigate the globe by balloon and donning a wedding dress after shaving his beard to promote his bridal wear store Virgin Brides. Many have criticised him for his insatiable appetite for publicity for some of his outrageous stunts, but I believe his main motive is driven more by his appetite to push the boundaries and limits. The stunts are a mere reflection of his drive and entrepreneurial streak that has made Virgin the company it is today. Today, Virgin Group holds more than 200 companies in over 30 countries including the United Kingdom, the U.S., Australia, Canada, Asia, Europe and South Africa. And for his contribution to entrepreneurship, Branson was knighted in 1999, and in 2009 he landed at No. 261 on Forbes’ World Billionaires list with his $2.5 billion in self-made fortune, which includes two private islands. He is married to his second wife, Joan Templeman, with whom he has two children: Holly and Sam. And currently lives in London. Who should read it: Aspiring entrepreneurs and business leaders who need inspiration and a rejuvenated mind. There’s no denying that there is a nationwide sweeping movement of the Holy Spirit raising up His people in the marketplace in advancing His kingdom in this 21st century. In Singapore, it seems most of us in the Body are just beginning to acknowledge and understand what God is doing through this movement. Because for the longest time, believers were mostly taught and encouraged to rise up in their churches and in the process gave lower priority to secular work over church work. This has eroded God’s influence in the marketplace. 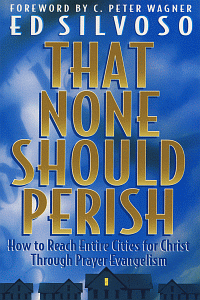 In this book, Peter does an excellent job in addressing this self-imploding crisis. He presents the two forms of churches- the nuclear church and the extended church and their different characteristics with their rule books. This truly helps to understand both camps and how to marry the two forms in forging a formidable force in bring heaven on earth. What I found particular insightful was Peter highlighting the lack of spiritual governance in the marketplace from Mondays to Saturdays or the 9 to 5 window. And unlike the marketplace or extended church, the (nuclear) church has established its spiritual governance. This can be observed by how people would ‘naturally’ behave to a set of ‘Christian’ conducts or culture in the church. Therefore, it is for this reason that God is raising up marketplace apostles and pastors to lead and govern His sheep in the marketplace towards discipling a nation. But for this to truly take place, we need to understand that Christian ministry is not confined to the nuclear church. And our secular work is equally sacred and significant. The only fault that a reader may find with Peter might be his take on the current state of the nuclear church which might come across as a tat harsh. However though his views on nuclear churches (in general) may be negative, but I find that he isn’t far off from his analysis. So depending on how you look at it or receive it, this book is an awesome reference book for church growth. And for Christians in Singapore, we can be encouraged that he mentions Faith Community Baptist Church (FCBC) and City Harvest Church (CHC) as role model churches that have moved the Church into the marketplace. Who should read it: All Christians, especially pastors and ministry leaders. Without a doubt Dr Chee Soon Juan cuts a very controversial figure in Singapore politics. Some respect him while some or most loathe him, especially for his confrontational antics with civil disobedience. However, we cannot deny that this man’s fortitude in standing for his democratic beliefs in spite of the constant hammering dished out by our PAP leaders baffles many of us. And it did provoke me to consider about this man’s intentions and aspirations for Singapore and to read this book. This book surmises Singapore’s political history (based on historical records) and how the PAP came into absolute power that it is today. And unlike what we were mostly told by the media and in schools, Dr Chee attempts to present the untold version of the PAP’s unscrupulous mannerism in usurping power using the ISA to detain political opponents. Many of these political opponents were imprisoned without trial as long as 25 years. One notable character whom should have been Singapore’s first prime minister was the late Lim Chin Siong. He was a respected leader of the masses who valiantly fought for the rights of Singaporeans and their desire for independence from the British rule. Interestingly, he was against the meager with Malaysia. That allegedly led him to be detained by the ISA on grounds that he was a communist. He was locked up twice on accusations for his communist links but was never trialed and convicted. He was subsequently banished to London in 1969 and only allowed to return 10 years later. With Lim and an opposition out of the way, Lee Kuan Yew and the PAP took control of the independent press and active trade union movement. And they say the rest is history. In 1996, Lim passed away unceremoniously. Not everything in this book is about the late Lim, but his story and his fate is pivotal in how the tide turned in favour for the PAP to reign. The rest of the book recounts the history of the degenerating of our labour laws; the dependency of MNCs and use of GLCs; and the transparency of our sovereign wealth funds with Temasek Holdings and GIC. Overall, this book appeals even to the average man on the street. It shares the other side of history which has been blacked out. So one ought to read with an open and discerning mind, and conclude for yourself the true Singapore story. And the truth is important, for history defines who we are as a people, and don’t we wonder why there is no true identity or true sense of belonging as a Singaporean? Who should read it: All Singaporeans and anyone who’s interested in the making of Singapore’s success. Numbers are fascinating and easily impress. It provides measurable formulas that helps explain or give reason. That’s why journalists love inserting statistics or figures in their reports. It gives weight to the content. In this book, the authors’ objective is to encourage critical thinking and think differently about facts and figures; to ask questions before accepting what data is presented. For instance, if our Housing minister reports that his newly implemented measures has worked in bringing down property prices in Singapore, can we assume that there is a correlation between the two? This book presents six wholly different topics and does jump randomly from question to question to drive its points. For example in one chapter, it explores the cause of the dramatic drop in the U.S. crime rate. And contrary to what had been publicly reported of better police work or new gun laws being the reasons for this fall, the authors contributed to almost entirely to legalized abortion. 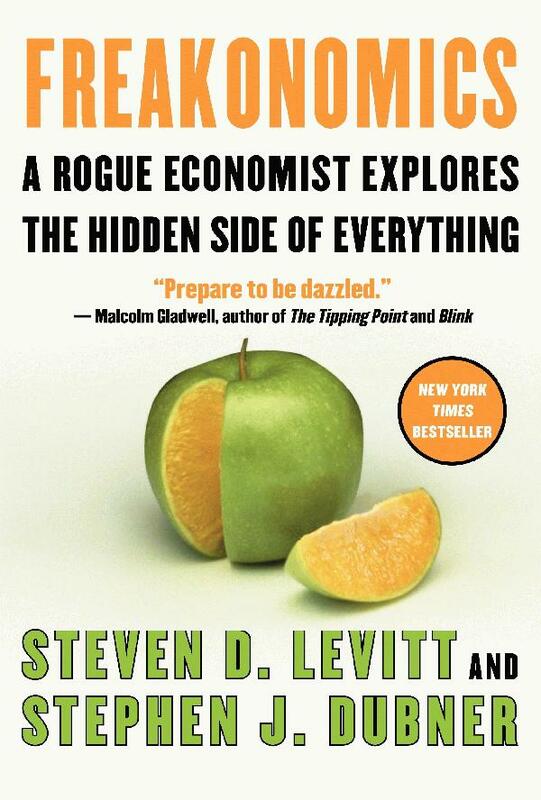 Overall, this is a fascinating and controversial read that is relatively short and packed with interesting case studies that exposes conventional wisdom. Who should read it: For anyone that is looking for a book to occupy his or her pleasure time.